As one of the 104 public employee retirement systems in the Commonwealth of Massachusetts, the Dukes County Contributory Retirement system administers benefits and operates under Chapter 32 of the Massachusetts General Laws. This is a defined benefit plan that operates as a qualified plan under section 401(a) of the Internal Revenue Code and sets forth the benefits, contribution requirements, accounting and funds structure for all retirement systems. 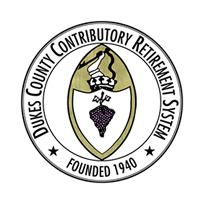 This retirement system is governed by a five person board, the Dukes County Contributory Retirement Board, which has the sole authority and responsibility to prudently invest the funds of our membership and to efficiently provide a retirement allowance to our plan participants and their beneficiaries.